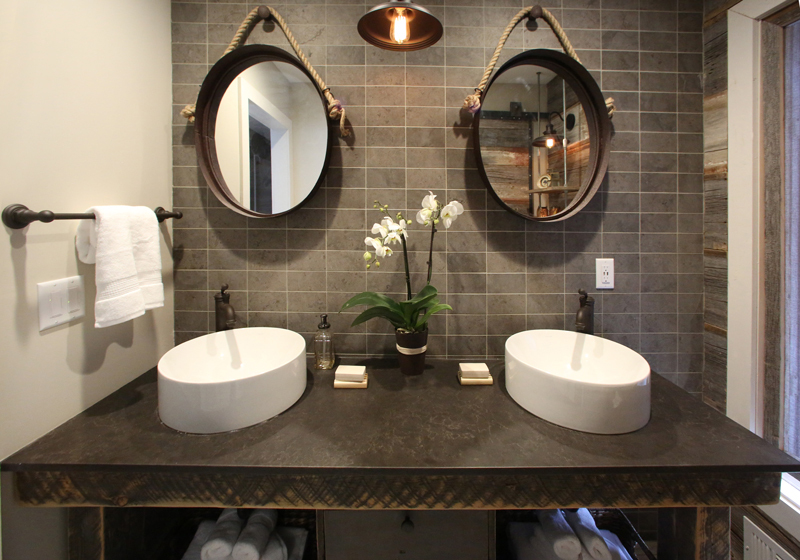 This year I had the pleasure of being a part of the television show, Bath Crashers on DIY Network and HGTV! As a little girl, it was one of my dreams to contribute to these networks in some small way. It was such a dream to be a part of this craziness of Bath Crashers. I will tell you a little bit about the episode and our client, but I do not want to spoil too much. 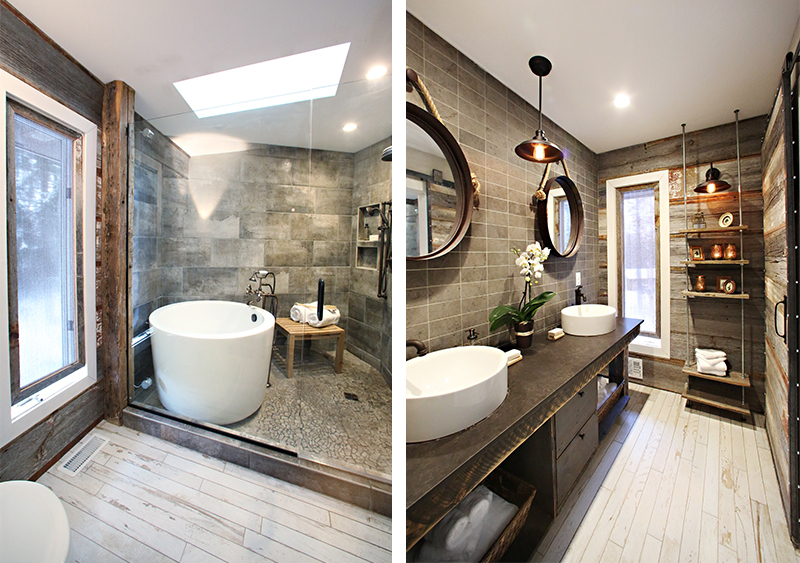 Our client lives in a beautiful home in the woods in a distant suburb of Minneapolis. 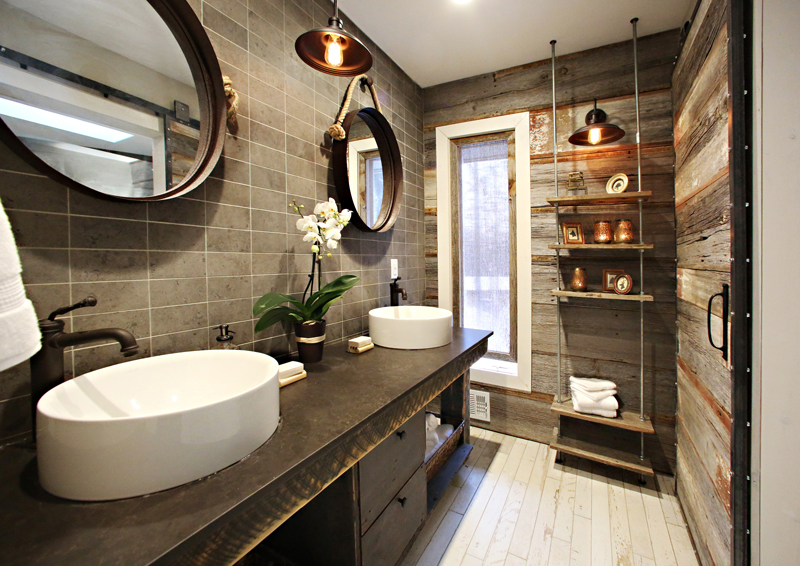 They wanted to bring the natural elements of the north woods into their new bathroom. 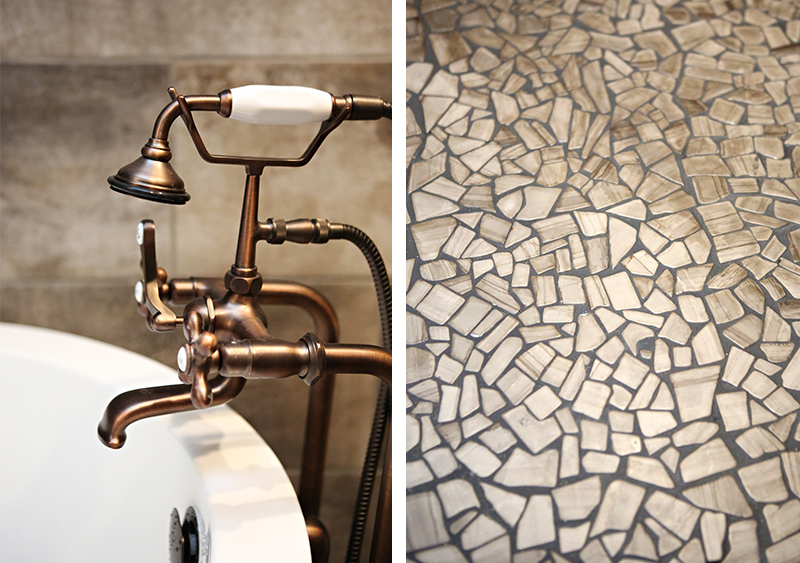 With the cold Minnesota winters they wanted a warm and dark feeling bathroom to find sanctuary in. 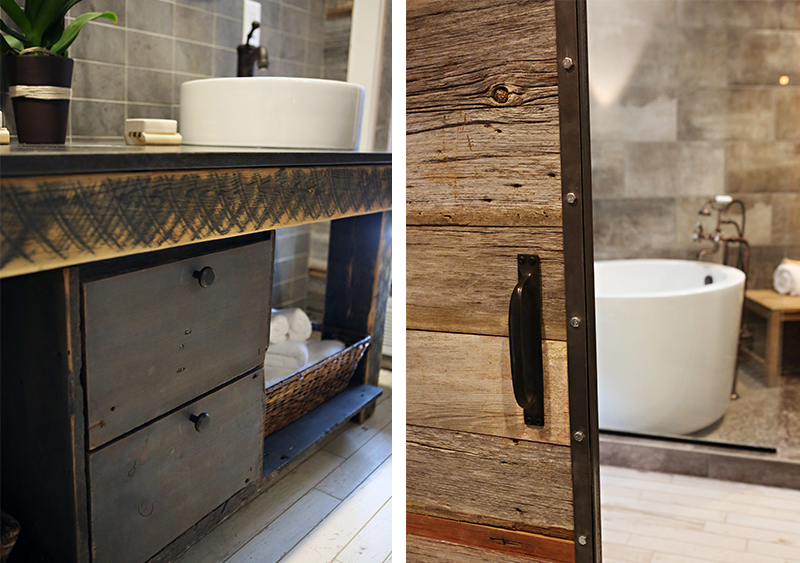 All of the finishes reflect that, especially the reclaimed barn wood sourced by the builder from southern Minnesota. If you have never seen the show before, here is what to expect. 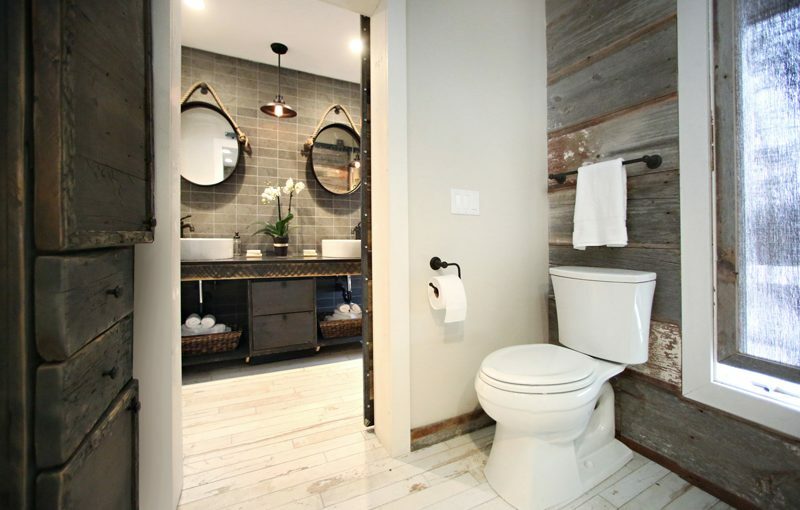 The show is hosted by contractor Matt Muenster who hangs out at home improvement stores and gets to know people that need help and have a big & UGLY bathroom that needs help being remodeled. Then he crashes the bathroom and it is remodeled to be super dreamy and it is a surprise reveal at the end to the home owners! Check out Bath Crashers website here for information on my episode I was a part of and tune-in times. Keep your eyes peeled I make a little cameo in my dark blue winter coat and hat. I love this show! When does your episode go live? Steven, the episode premiere night was in April 2015, you can find tune-in times from the link below. 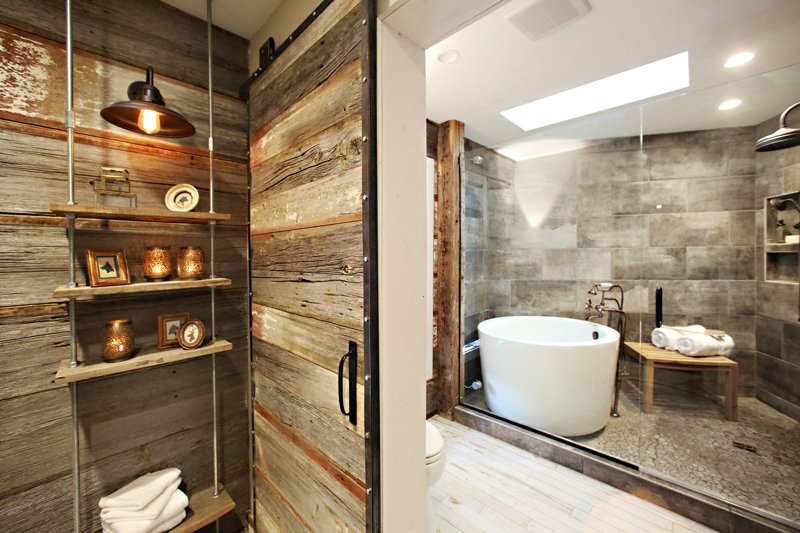 Or else, search for the episode titled “Rustic Remodel With A Wet Room” Season 11, Episode 5.